"Okurrr" continues to ask the question 'Is Pepsi OK?" If you thought Cardi B was the best part of Pepsi's Super Bowl commercial on Sunday, you're in luck. She's the sole focus of a sequel spot that just rolled out online—and which will air this Sunday on the Grammy Awards. Like the Super Bowl ad, the new spot is also a :30 and was made by Goodby Silverstein & Partners. 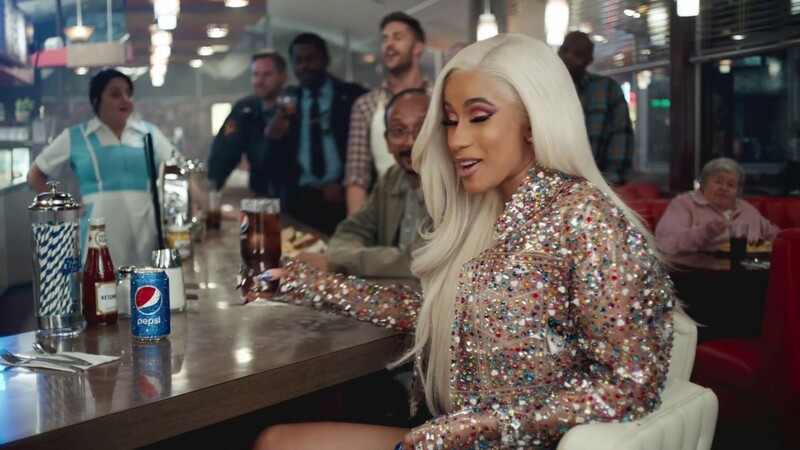 But this time, Steve Carell and Lil' Jon have exited, leaving Cardi more room to show off her signature "Okurrrr" as Pepsi continues to ask, "Is Pepsi OK?" "The biggest of the biggest stars have done Pepsi," Cardi told People magazine during the Super Bowl festivities in Atlanta last week. "So it's like, 'Damn, I'm a bright star like them too.'" She added: "If money see you as money, then that means you're money, you know what I'm saying? Like, Pepsi's money." Speaking of money, a 30-second ad slot on the Grammy Awards isn't quite as costly as a Super Bowl spot. But it's not cheap either. Grammy slots are going for a little over $1 million per :30, while Super Bowl ads commanded about $5 million. Cardi is slated to perform at the Grammys and is nominated in five categories, including best album and best record. Like this year's Super Bowl, the Grammys telecast will be on CBS beginning at 8 p.m. ET/5 p.m. PT.